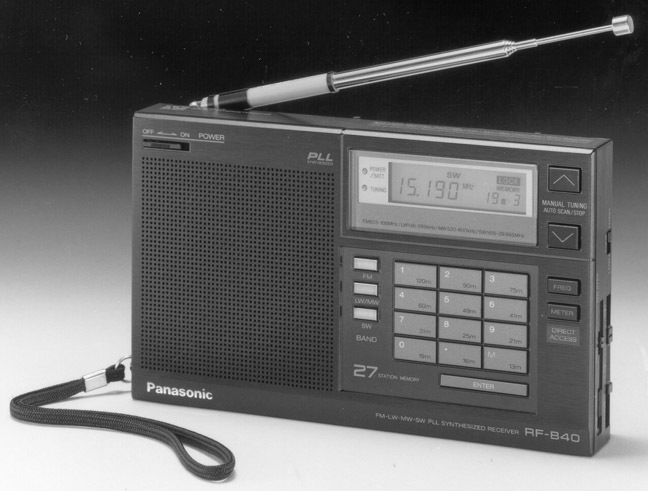 The Panasonic RF-B40 covers longwave 146-288 kHz, AM from 520-1610 kHz, shortwave from 1615 to 29995 kHz and FM from 87.5-108 MHz. 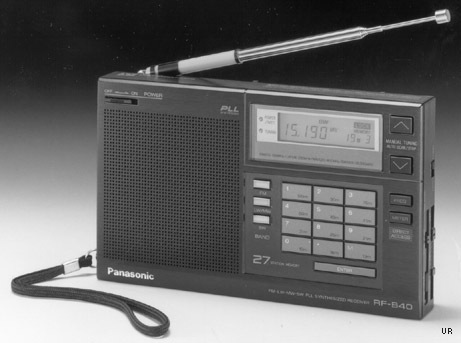 This radio features an up conversion double conversion circuit. You get keypad entry, 27 memories (9 for FM, 9 for LW/MW and 9 for SW), tune light, lock button, DX-Local switch and up-down tuning. 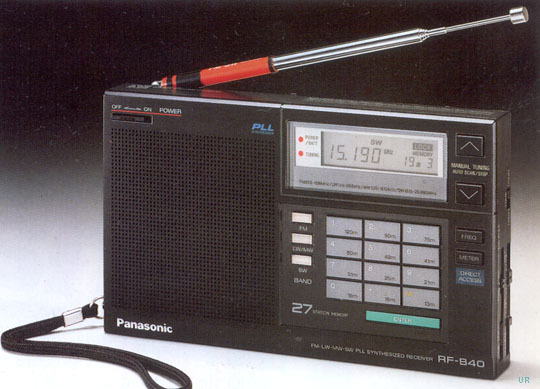 The right side of the radio has switches for the medium wave step (9 or 10 kHz) and tone high/low. There are external jacks for earphone (3.5mm mono 8 ohm) and 6 VDC in. 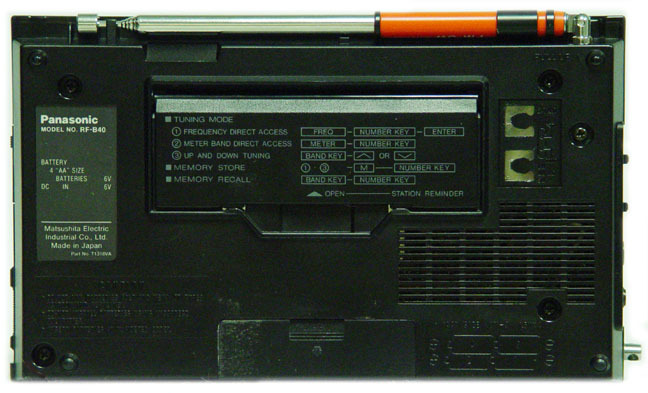 The rear panel has recessed external antenna tabs. Operates from four AA cells. 7.375 x 4.675 x 1.5 inches 1.4 lbs. (187x110x37mm 480g).